FREE Weebly Website builder. Connects to your .house domain name and your site is online in minutes! How to register a .HOUSE domain name? Use the domain search form above to check if your .HOUSE domain name is available. A third step would be to pay related fees and so with a simple click and a confirmation of the payment, the .HOUSE domain registration is completed. What advantages do you have if you own a .HOUSE? 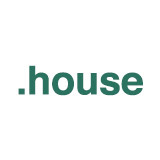 With a .HOUSE domain name, you and your company will be more easily spotted and recognized. A .HOUSE domain will help with both marketing and SEO.